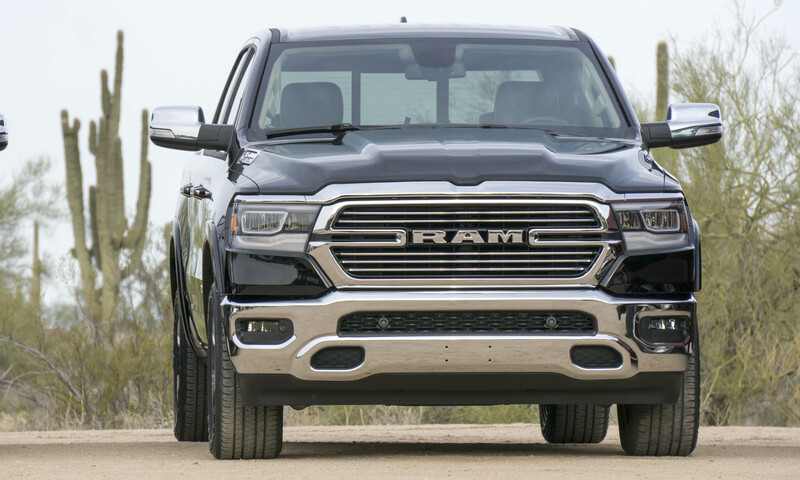 Full-size trucks typically fall into size categories of half ton, three-quarter ton and 1 ton, designating both size and capability. 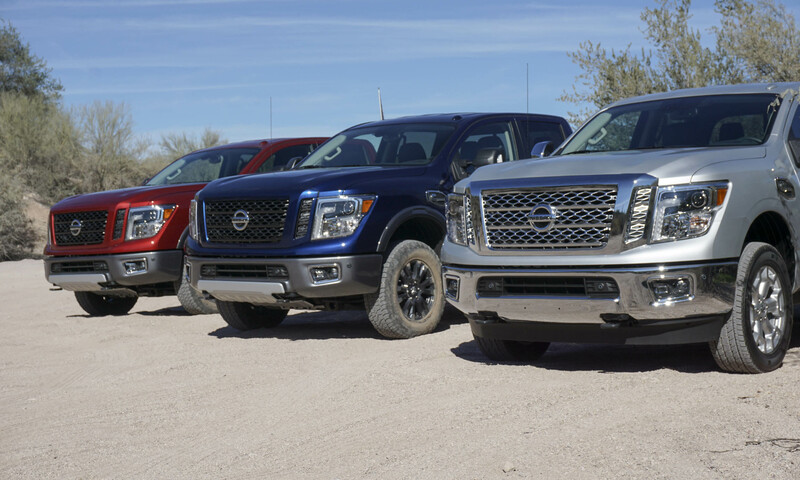 Then there’s the new Nissan Titan XD. 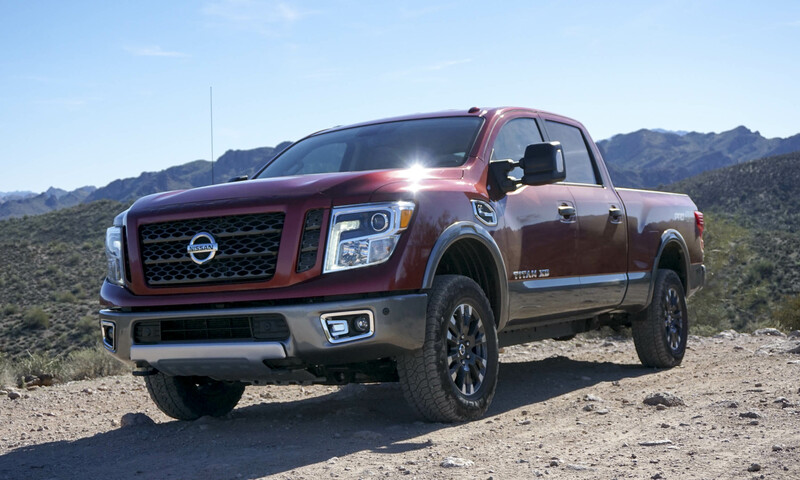 Much larger than its predecessor with impressive power and bold styling, the 2016 Titan XD offers much more capability than a typical half-ton pickup without the added size or expense of a three-quarter-ton model. 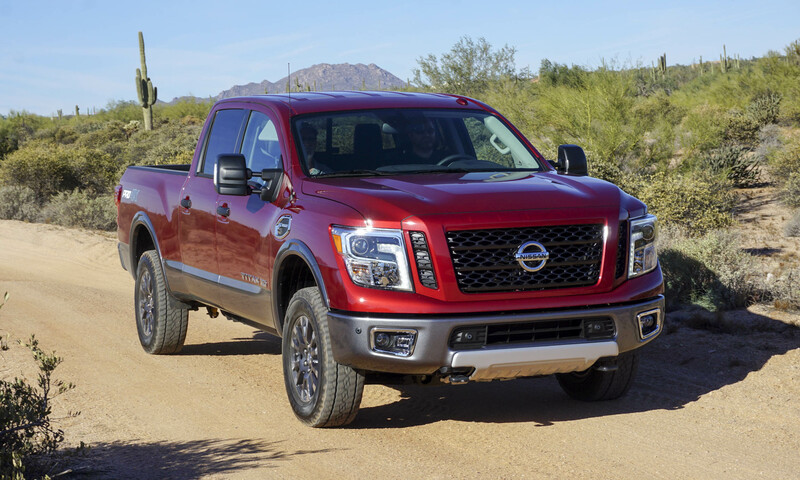 Add a number of innovative high-tech features, an easy-to-drive demeanor and an efficient diesel powertrain, and the Titan XD is likely to make at least some tremors within one of the most difficult segments to shake up. When the Titan goes on sale later this month it will initially be available exclusively as the XD Crew Cab with a diesel powerplant. 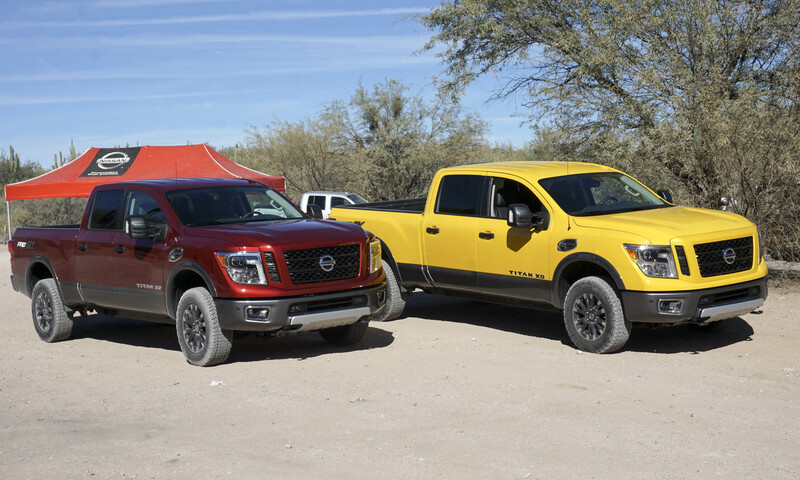 The XD offers more capability than the typical half-ton truck, but there will be a standard half-ton Titan joining the lineup sometime next year. Titan XD is available in five different grade levels, ranging from the base S to the top-level Platinum Reserve. 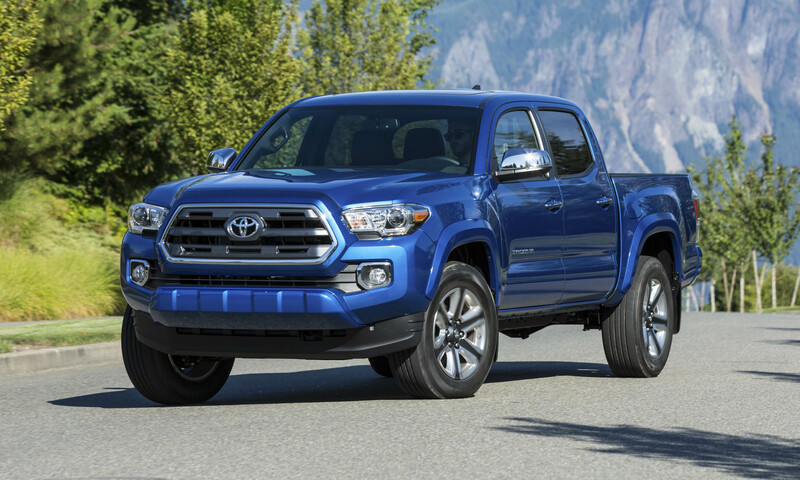 Each trim will be available with 2WD or 4WD in regular cab, extended cab and 4-door crew cab versions. Nissan says pricing information for all trims will be available soon. 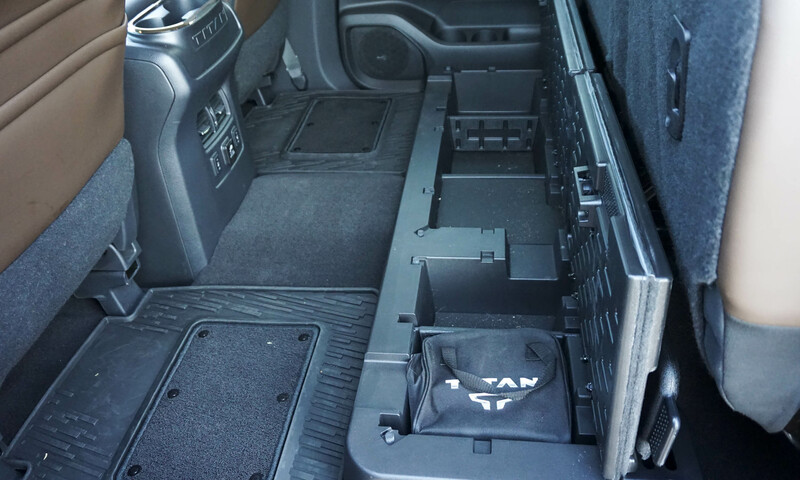 The base-level Titan XD S has a standard split-bench seat, vinyl floors, a manually-sliding rear window, an AM/FM/CD audio system with 5-inch display screen, Bluetooth connectivity with hands-free calling and streaming audio, and 17-inch painted steel wheels. 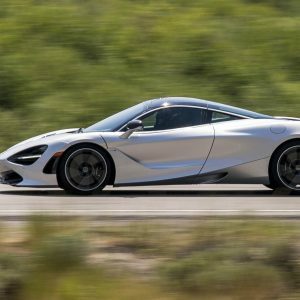 Stability and traction control are also standard. 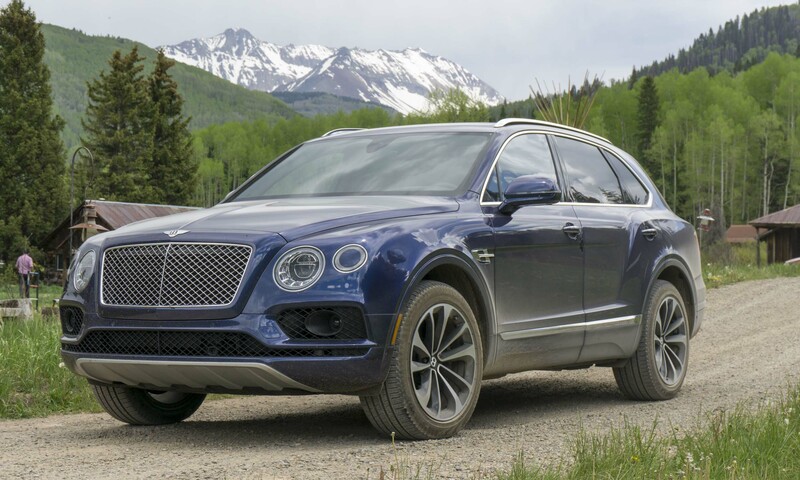 Upgrading to the SV adds heated outside mirrors, an Advanced Driver Assist display, chrome exterior trim, interior mood lighting, SiriusXM Satellite Radio, a locking tailgate and NissanConnect with mobile apps. Trailer Sway Control is standard as well, and 4WD versions feature oil pan and fuel tank skidplates. 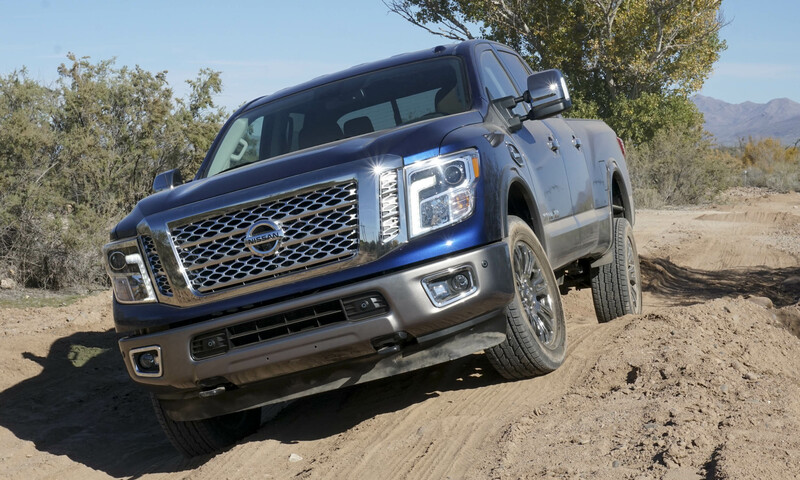 For those looking for more off-road capability, there’s the Titan XD Pro 4X. 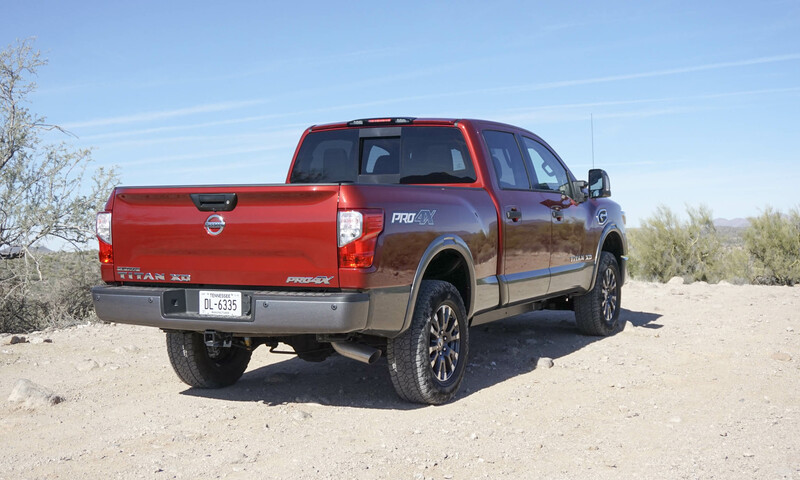 The Pro 4X features Bilstein off-road performance shocks, fog lights, black exterior trim, a class IV tow hitch receiver, electronic locking rear differential, and all-terrain tires on 18-inch aluminum alloy wheels. A bed-mounted AC power outlet, 7-inch touchscreen color display, voice recognition, dual-zone climate control and front captain’s chairs with center console are also standard. The SL is a step above the SV, upgrading the lesser trim with a Rockford Fosgate AM/FM/CD audio system, leather trim, heated front seats, a powered sliding rear window, step rails, LED under-rail bed lighting, signature LED headlights, a satin-chrome finished grille and 20-inch alloy wheels. 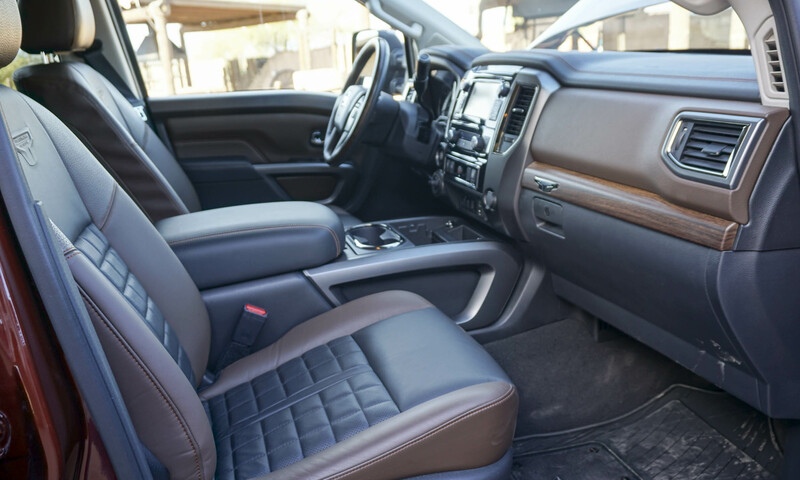 Created for those who require a certain level of luxury in their big pickups, the Titan XD Platinum Reserve gets premium leather trim, heated and cooled front seats, heated rear seats, wood trim, and an Around View Monitor. This top-tier pickup also features the Titan box storage system, an integrated gooseneck hitch, dark chrome extendable mirrors, a dark satin chrome-finished grille and 20-inch dark chrome wheels. 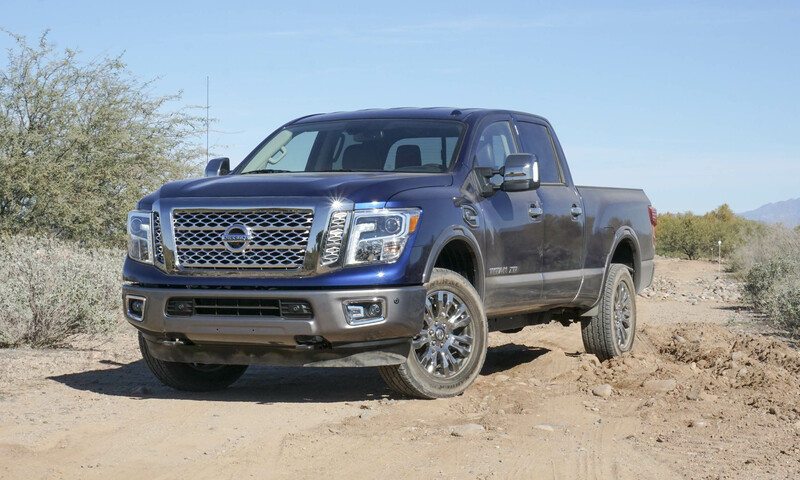 Nissan will eventually have V6 and V8 engine options for the Titan XD, but at launch the only powertrain available is the 5.0-liter V8 Cummins Turbo Diesel. 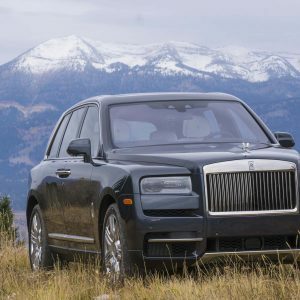 The big diesel puts out 310 horsepower and — more importantly — 555 lb-ft of torque at a very low 1600 rpm. 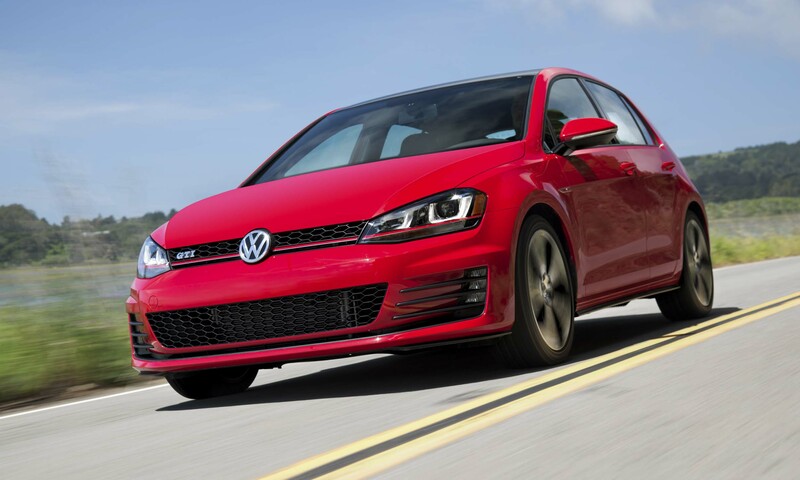 High torque at low rpm is one of the hallmarks of a diesel powertrain. Power is directed through a heavy-duty 6-speed automatic transmission. 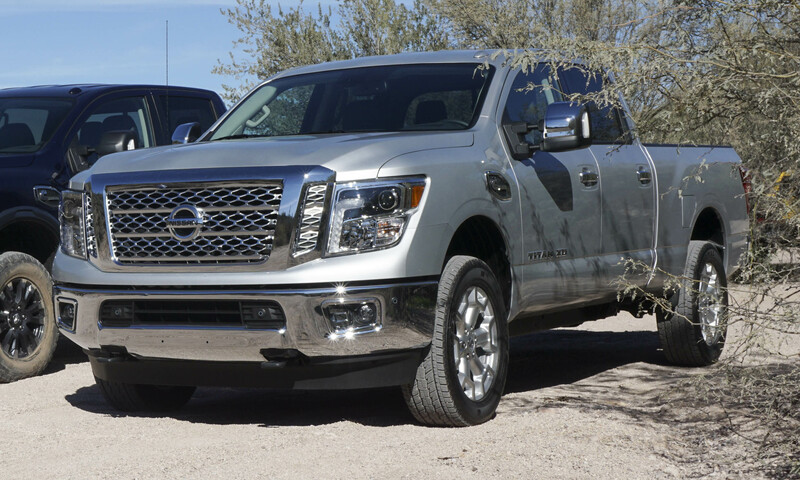 Nissan’s powerful diesel engine and reinforced chassis ultimately make this Titan XD stand out from typical half-ton pickups. 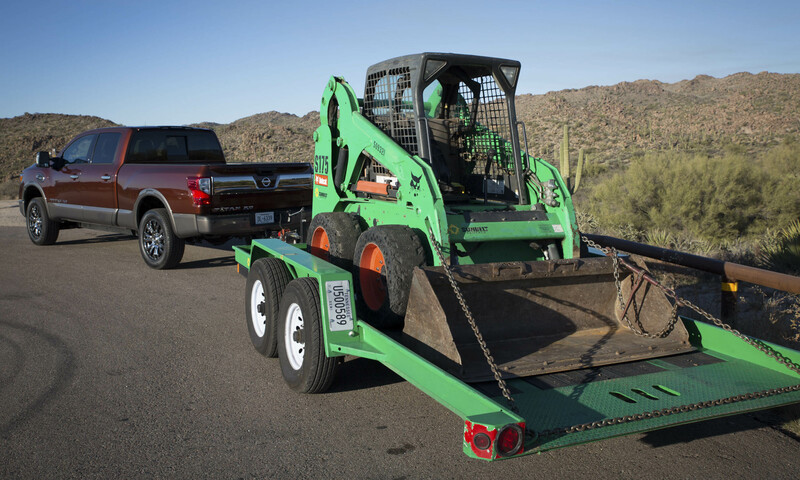 The XD has a maximum tow rating of 12,314 pounds, while max payload is more than 2,000 pounds. 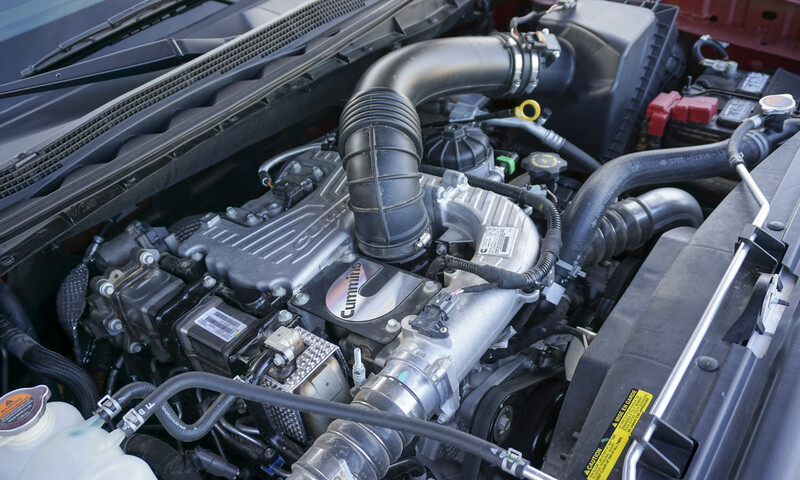 Improved fuel economy is often associated with a diesel powertrain. Nissan reps did not release any fuel economy numbers during our press drive, but during our trip the computer reported 21 mpg in mainly highway driving — around 60 mph — but with a 700-pound cargo load. 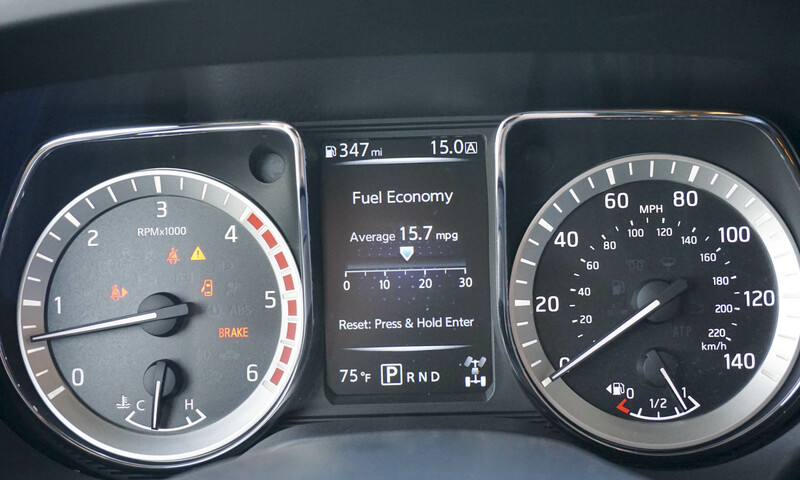 However, higher speeds will cut fuel economy quickly; at 75 mph we observed 14 mpg. 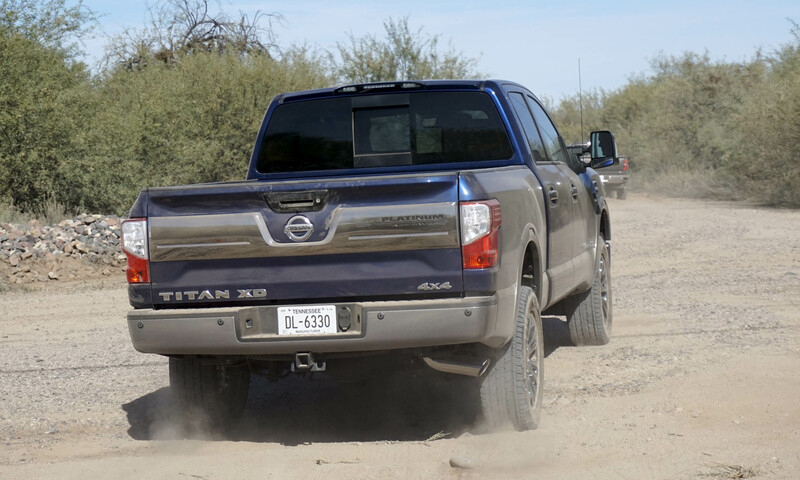 The Titan XD will launch with the very roomy Crew Cab, and this was the only version we were able to test. 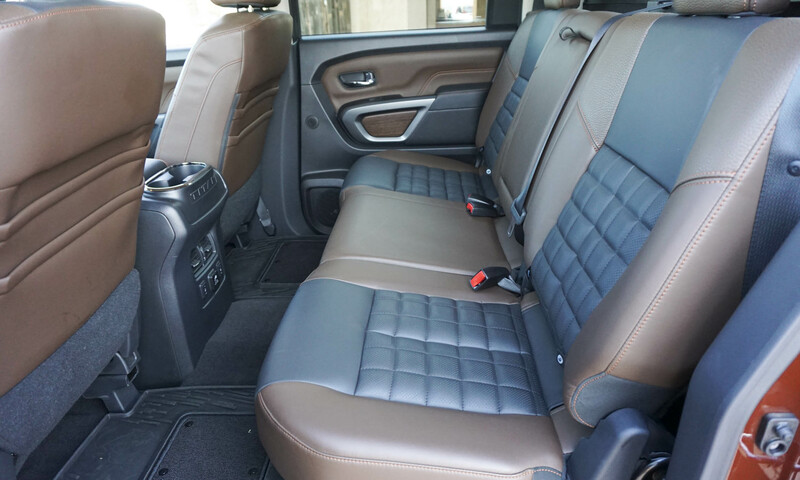 Front-seat occupants sit in comfortably large bucket seats with available heating and cooling. 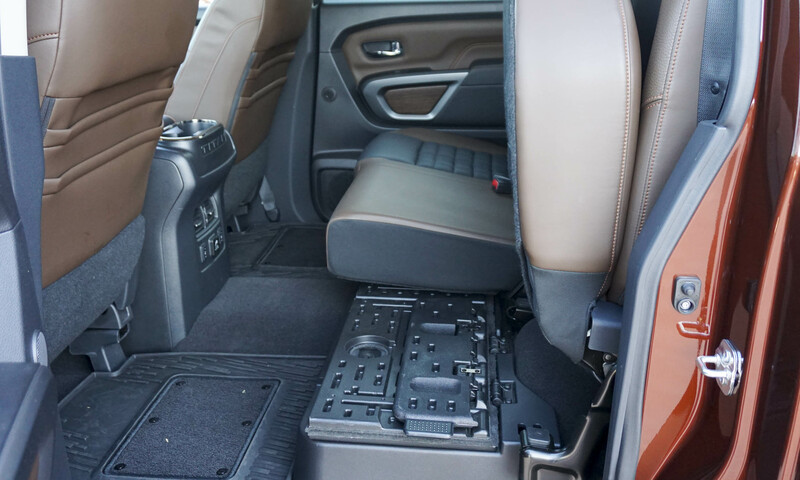 The center console has plenty of storage, especially the cavernous area under the armrest. The ergonomic controls are actual buttons and knobs surrounding the touchscreen display. Climate controls are also separate, making for easy adjustments without needing to look away from the road for a long time. Nissan’s Around View Monitor is especially useful on a truck this size, making parking remarkably easy. Since the Titan XD s is an all-new vehicle, we would have expected the display screen to be a bit larger; however, if size constraints were the reason we still prefer buttons and knobs rather than relying on a touchscreen for all functions. Rear-seat passengers will find plenty of legroom, and the Titan XD is so wide that three adults will easily fit side by side. 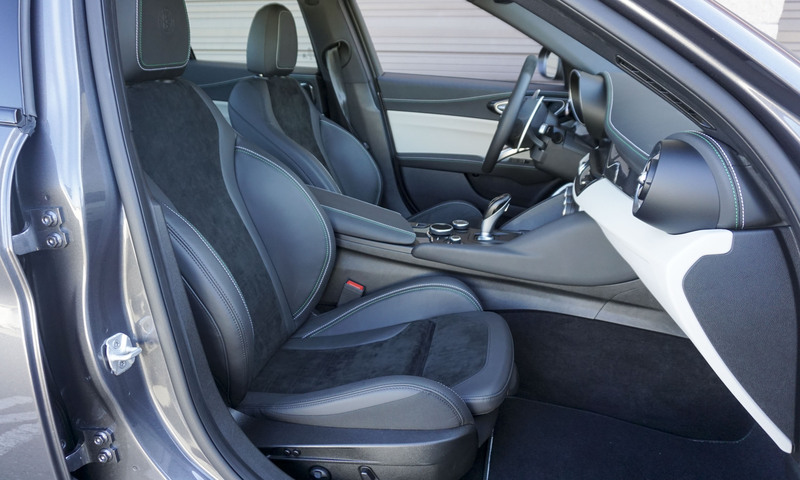 However, the center-seat passenger doesn’t get a head restraint, which might be uncomfortable for adults. 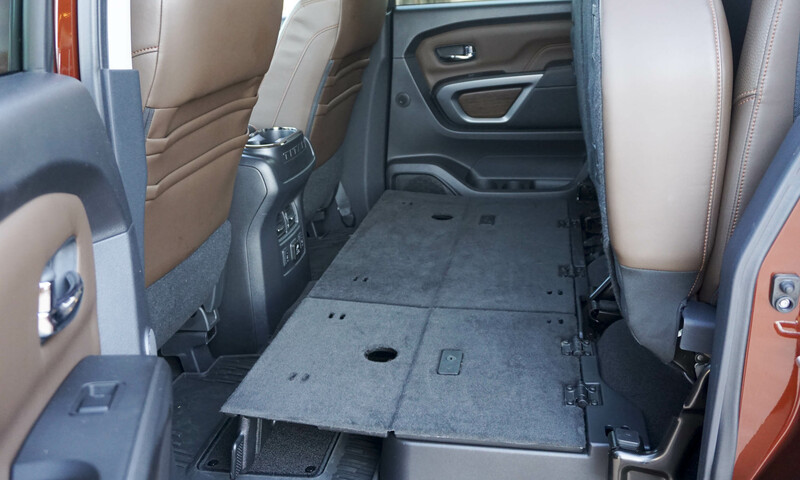 Rear seat bottoms can fold up out of the way, revealing a lockable storage cubby with adjustable dividers. For larger cargo that needs to be stored inside, a flat floor can fold out for easy loading and packing. The Titan does seem to be lacking in power — outlets, that is. 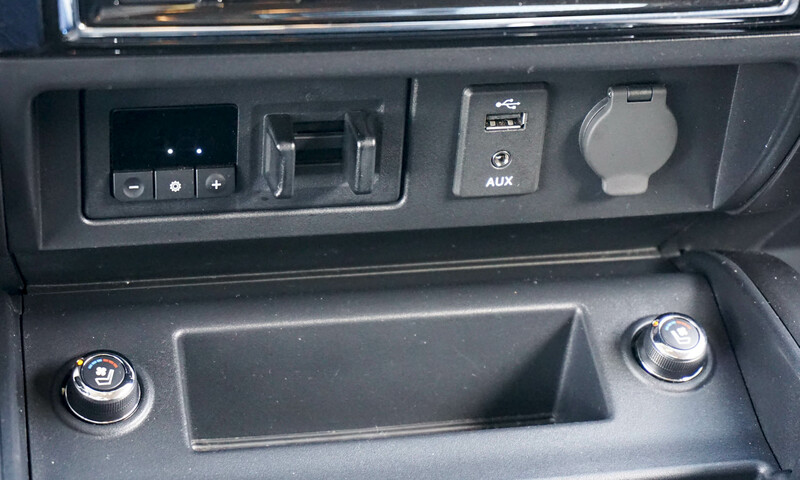 There are two DC outlets (lighter plugs) in front, but only one USB connection in the entire cabin. There is also one 120V AC plug in the rear. This could be limiting, since most personal electronics require a USB outlet for charging. 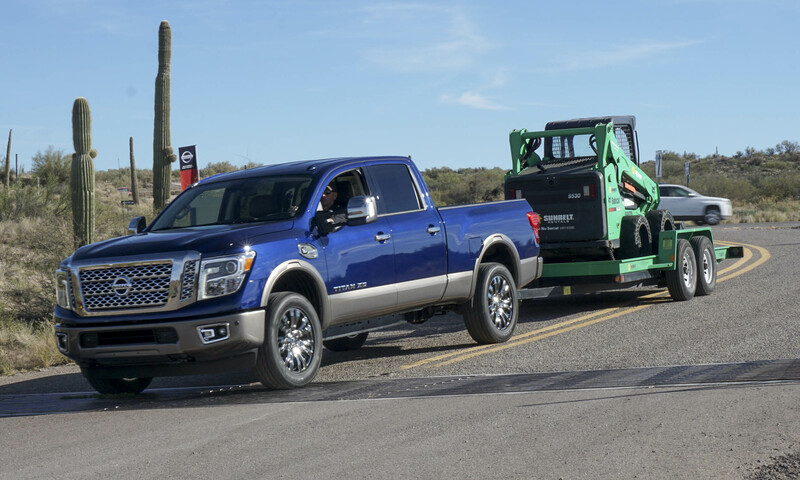 The powerful diesel in the Titan is clearly a great option for those who need to tow something large and/or heavy, and Nissan has made towing easier than ever. Hooking up a trailer typically takes two people — one to drive, one to guide. 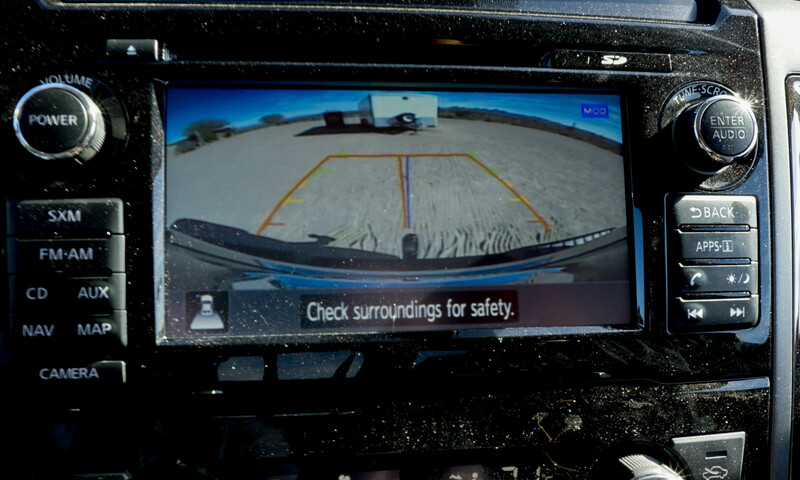 Utilizing the rear camera with its guidelines, the driver can easily line up the hitch ball with the trailer hitch (during our drive time we easily lined up with the trailer on the first try). Once the trailer is connected, the driver can use the key fob to test all trailer lights, including turn signals, running lights and brake lights. Again, no need for an additional person. Once underway, the Titan XD offers a number of aids including Trailer Sway control that will detect if the truck and trailer start to wallow, and will apply brakes automatically before the sway becomes uncontrollable. The Titan also has an integrated trailer brake control in the center dashboard, as well as offering Downhill Speed Control for trailer towing. This system automatically downshifts when brakes are applied, helping to maintain speed and control of the vehicle. When Nissan introduced the original Titan in 2004, the truck was equipped with a unique rail system for securing cargo. This Utili-Track system carries through to the new Titan, consisting of rails on the sides and front of the bed as well as two integrated into the bed. 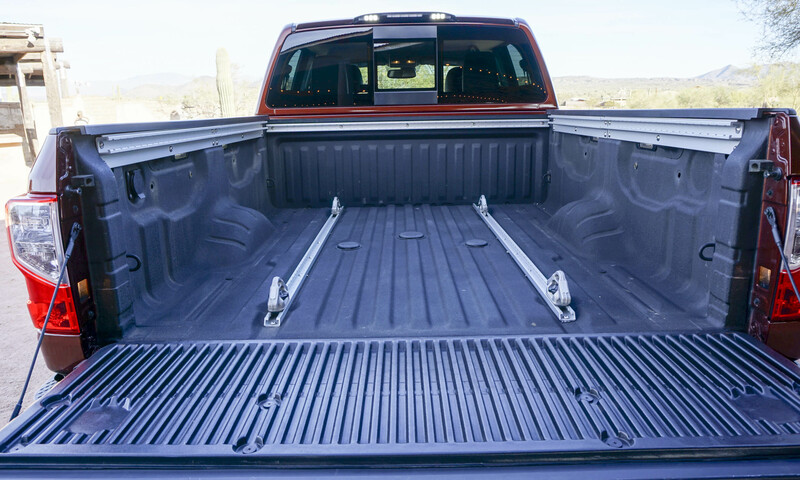 Cleats for tying down cargo can be secured anywhere on each rail for greater flexibility. LED lighting under the bed rails is optional. 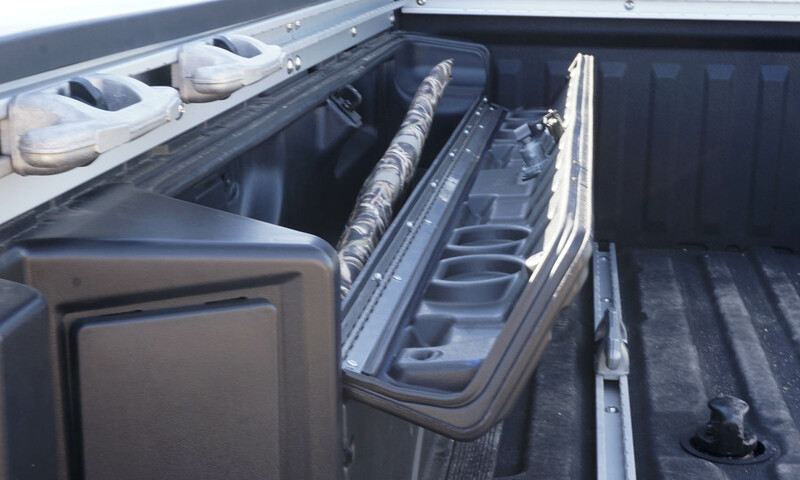 The Titan box storage system is also available on the new XD. Mounted inside the bed along each side rail, the lockable, weatherproof boxes can be removed via a few screws if the full bed is required for larger cargo. A spray-on bedliner is also available, as well as a 120V power point. Clearly the Titan is a very large pickup, but it is very easy to drive. 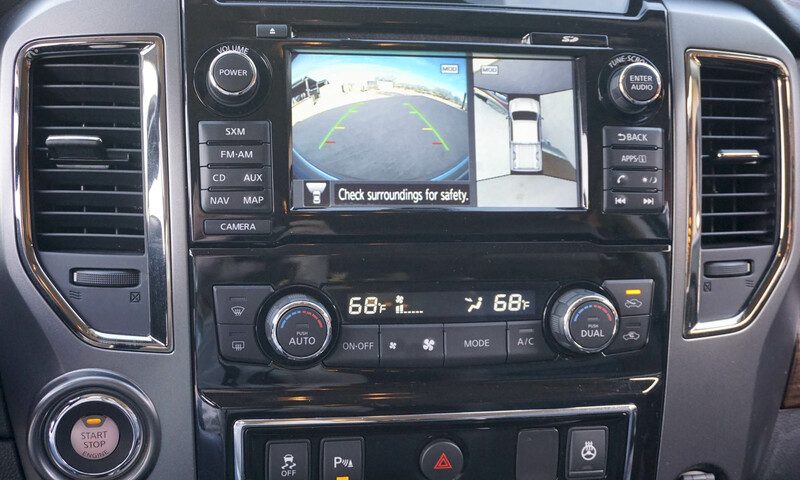 The multiple cameras and Around View Monitor make maneuvering and parking a breeze. The ride is surprisingly quiet and smooth — with the bed either empty or fully loaded. Acceleration is relatively strong, and the Titan will cruise at 75 mph with no problem at all. Driving Titan on a mixture of road surfaces did bounce us around a bit, but ultimately the ride was not as jarring as we would have expected for a large pickup. 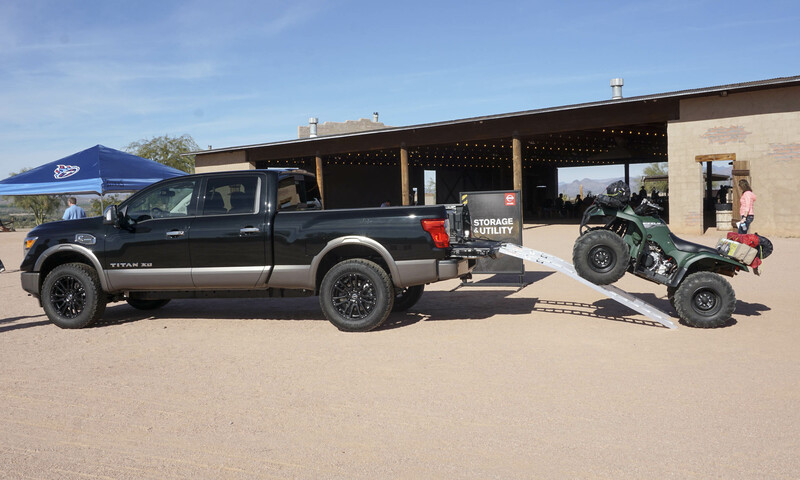 We also had the opportunity to tow a 9,800-pound load up and down some steep grades, and Titan made the task easy — even for those of us without a lot of towing experience. 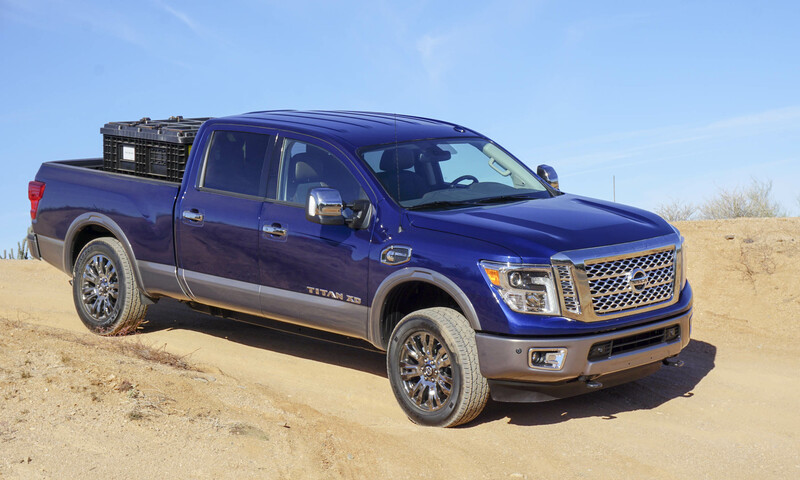 Given all the available torque from the diesel powerplant, we were able to pull the load up an impressive grade at 70 mph, and the Titan didn’t even break a sweat. The Downhill Speed Control also worked well, keeping the speed steady with no need for urgent braking. The Titan is also quite capable off-road. 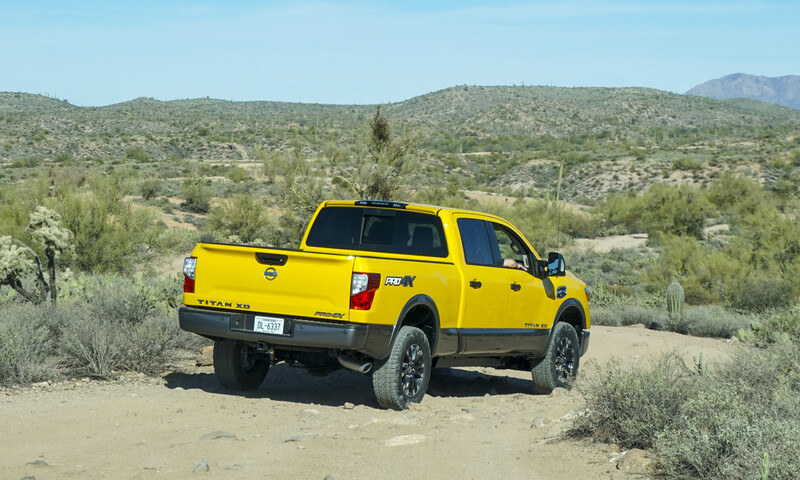 During our press drive through the arid Arizona desert we found no mud, although the rocky surfaces, soft sand and steep climbs were no problem for Titan. 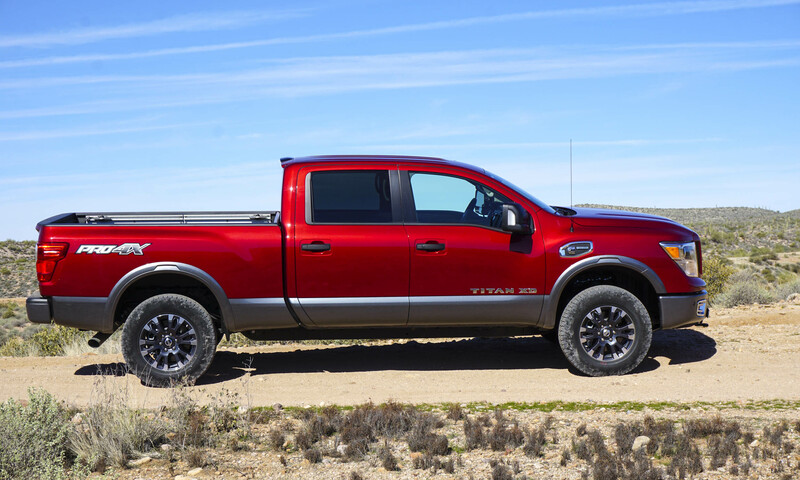 We drove the Pro 4X which boasts almost 9 inches of ground clearance — the biggest issue Titan drivers will encounter while off-road is maneuvering this 20-foot-long truck along particularly narrow, winding trails. 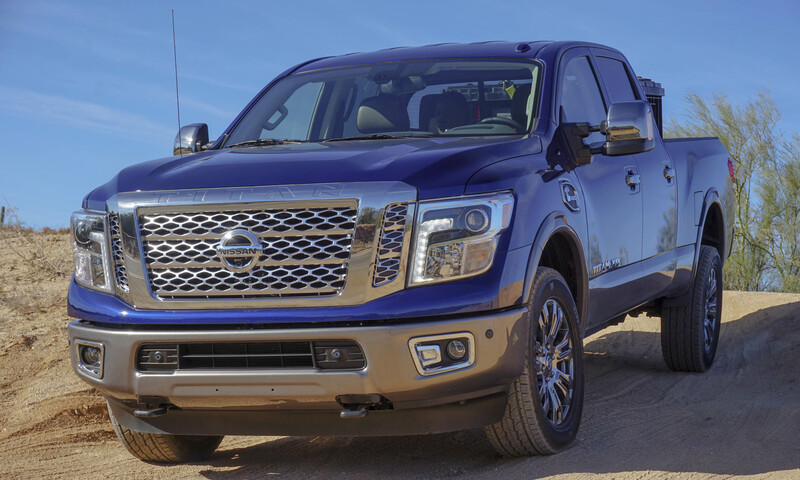 Nissan is billing the Titan XD as an in-between truck — bigger than a half ton but smaller than a three-quarter ton. 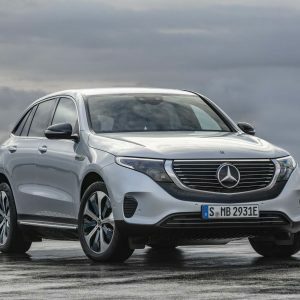 It is hard to say how small a niche this mid-segment might be, but the Titan certainly delivers on the capability, technology, comfort and bold styling. 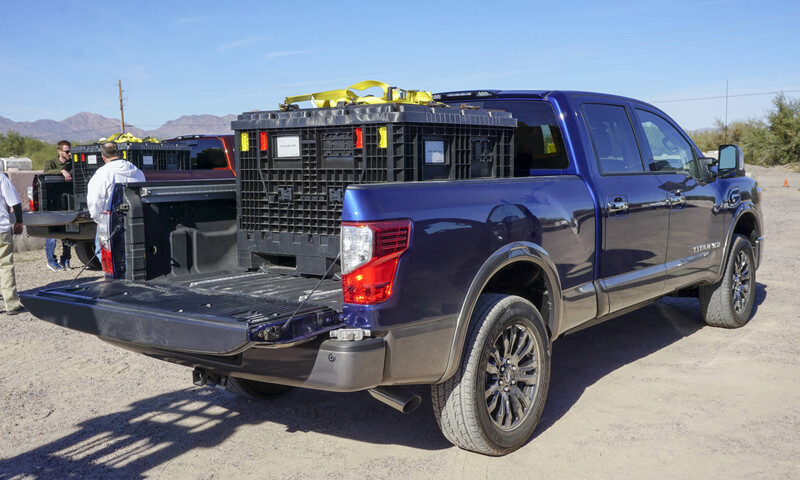 So if you are in the market for a half-ton truck but need to carry or tow a bit more than that standard pickup can handle, the Titan XD may be the perfect solution. 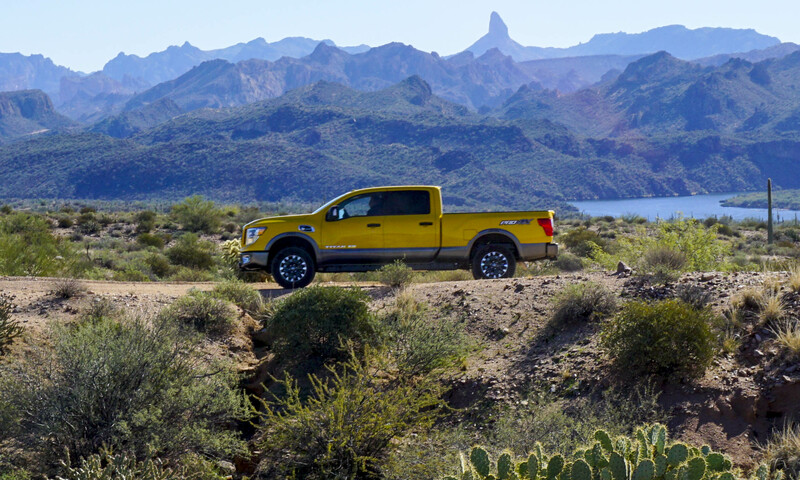 Bottom Line: The new Titan is certain to get noticed with bold styling and capabilities to match. Pros: Impressive towing ability, roomy cabin, innovative cargo and towing features. Cons: Only one USB outlet, small display screen.